This one has been a long time coming; it has been on layaway for months. 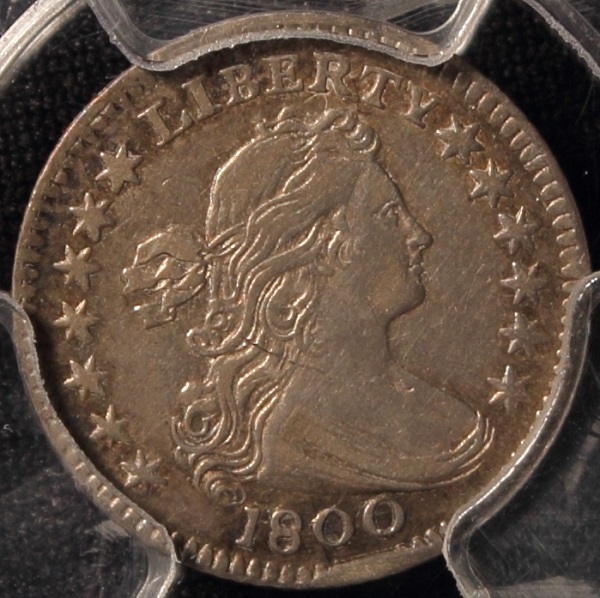 Early half dimes were struck on very thin planchets, and as a result most have been bent. The almost inevitable half-joking comment was that if you sneezed on them they’d fold in half. Bent coins don’t get encapsulated. So the mere fact that this is not bent, and has been encapsulated makes it an unusual specimen! One thing these photographs don’t convey is that this coin still has some luster to it, under dark yellow toning in the fields. Justice has not been done here. 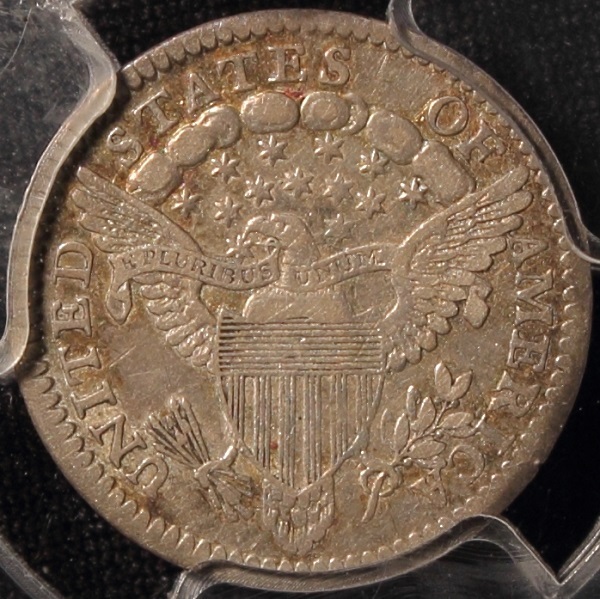 This entry was posted in Coins, Draped Bust/Heraldic Eagle, Half Dimes, US and tagged Coin, Draped Bust, Half Dime, Heraldic Eagle, United States on March 15, 2013 by steveoncoins. My Trip To Europe. Day 21. Friday, October 24. Ancient Rome. My Trip To Europe. Day 20. Thursday, October 23. Vatican. Chicago ANA, 2014 |… on No Stars!